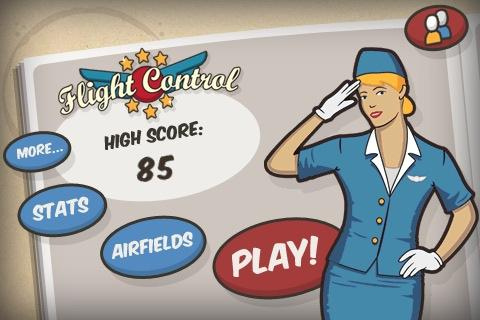 This weeks iPhone app of the week is Flight Control, which is also available for the IPad. It’s simply a free flowing strategy game that you have to guide planes to land in certain areas without them crashing. Flight Control is one of those most have apps for keeping yourself busy on long plane rides or road trips. With six unique maps you’ll be kept busy for hours on end until your battery dies. Flight Control is incredibly easy to learn! Just touch and drag the aircraft to their landing zones and avoid collisions. It’s also completely addictive to keep you coming back for more and more. In the game you can fly solo, or share landing duties with a friend by playing online via Game Center or over local Wi-Fi network or even Bluetooth. The best part about this game is the unique achievements and leaderboards that motivates you to get to that next level and compete with others around the world. Flight Control has three flavors for your use, a free version with only one map; a $0.99 full version that has multiple maps and expandability and lastly an iPad version for your pleasure.